Notes: Born at Baltimore, December 1, 1861; son of Bishop A. M. Randolph. M.D., University of Maryland, 1884; Assistant in Ophthalmology and Otology, Johns Hopkins University, 1893, and more recently Associate in same; Associate Professor of Ophthalmology and Otology, Johns Hopkins Univer-sity, 1901-; author of article, “Otology,” in “Progressive Medicine,” vol. 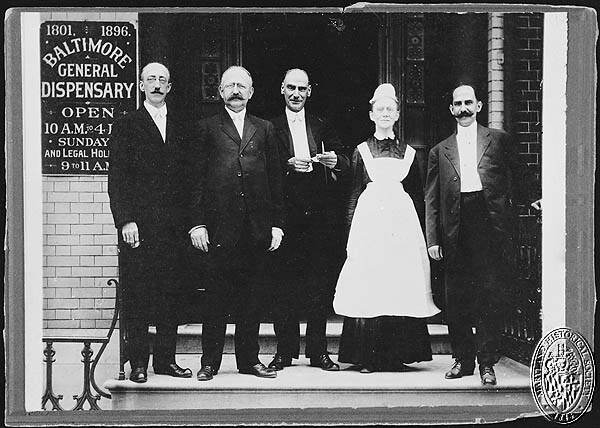 i, 8vo, Lea Bros. & Co., 1899; awarded the “Alvarenga Prize,” of the College of Physicians of Philadelphia, 1899, for Essay on “The Regeneration of the Crystalline Lens-an Experimental Study,” and the “Boylston Prize” of Harvard University, 1902, for Essay on “The Role of the Toxins in Inflammation of the Eye.” 816 Park Avenue, Baltimore.